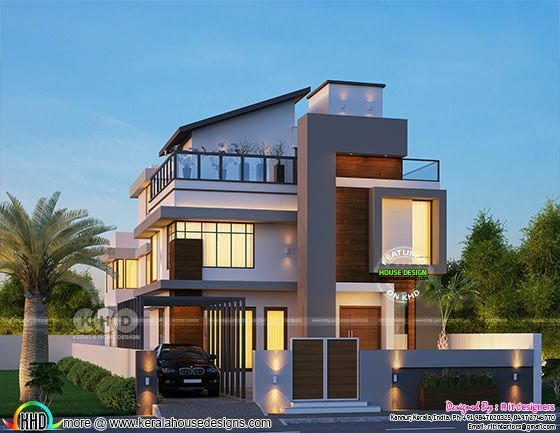 6574 square feet (611 square meter) (730 square yard) 5 bedroom modern contemporary style 3 storied home plan. Total estimated cost of this house is ₹145 lakhs (May 25, 2018) Design provided by Rit designers, Kannur, Kerala. Ground floor area : 2507 Sq.Ft. Total Area : 6574 Sq.Ft. 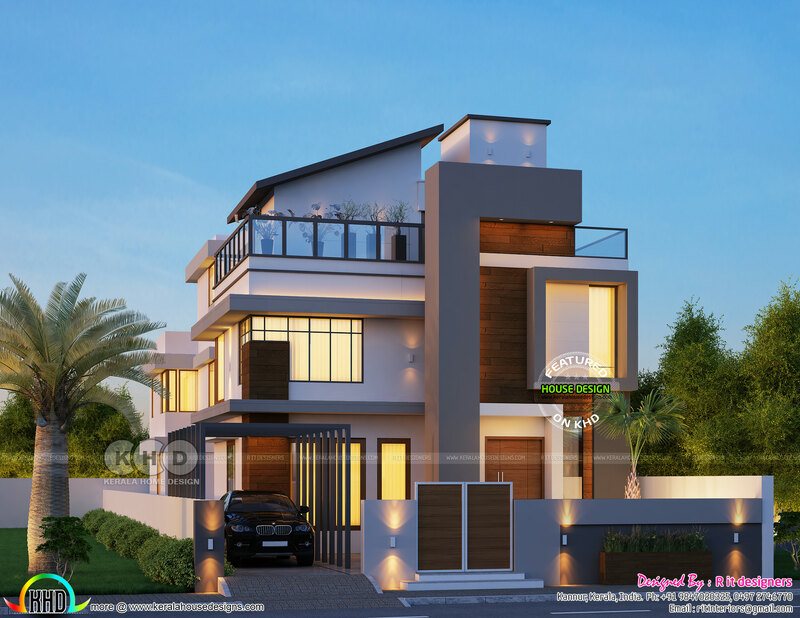 0 comments on "Luxury contemporary style 3 storied Kerala home design"